Dentists often continue their education to develop certain specialties, such as endodontics. This type of dentistry focuses on root canal treatment to save teeth. Let’s take a quick look at the field of endodontics. As seen in the short video, endodontists receive several years and continuing education to save teeth through root canal treatment. 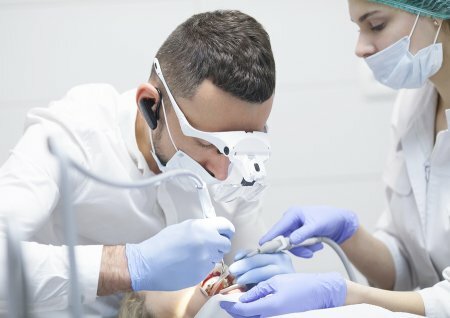 These dentists must learn the different surgical procedures and treatments to save teeth roots from infections and trauma. Endodontists can save patients’ smiles, oral health, and overall health with their additional experience. Choose Glenwood Premier Dental to treat gum disease, lost teeth, and infected root canals near Hazlet. Our dentists specialize in various dental specialties, including orthodontic care, oral surgery, and root canal treatment. We are available to answer questions and set up dental exams at (732) 264-4477. Basic screenings occur during a routine dental visit. Your dentist likely performs a basic oral cancer screening every time you come into the office for a checkup. Basic screenings consist of the dentist running his fingers along your gums and cheeks and making a visual inspection for lesions or odd colors on your gums. However, there are more advanced ways to conduct a cancer screening. Your dentist may use specialized lights and tools to search for hard-to-find lesions in your mouth. These screenings are completely pain-free and quick. Early screenings lead to better results. It is crucial to see your dentist for regular checkups because a simple screening can detect oral cancer in its early stages. If your dentist detects oral cancer as early as possible, then your chances of fighting it vastly improve. If you put off routine dental exams, though, then you risk your dental, oral, and overall health. Cancer screenings are necessary for high-risk patients. Your dentist may use more advanced cancer screening methods if you are at a higher risk of developing oral cancer. You are at a higher risk if you use any kind of tobacco, including cigarettes and chewing tobacco. Your risks of oral cancer also increase if you are a heavy alcohol drinker, have frequent sun exposure, and have been previously diagnosed with oral cancer. Tell your dentist if any of these situations pertain to you. At Glenwood Premier Dental, we believe in advanced oral cancer screenings in Hazlet. Our patients deserve the highest care we can provide, and that includes peace of mind. Please call us at (732) 264-4477 to schedule a routine exam or oral cancer screening. Tooth loss—whether due to extraction, gum disease, or trauma—often comes with unfortunate side effects, such as bone loss and poor health. Dentists will often recommend implant dentistry to prevent the side effects of tooth loss, because dental implants make great tooth replacements. Get a better look at the common consequences of tooth loss by reading below. One of the most common consequences of tooth loss comes in the form of poor health. Patients with one or more teeth lost typically turn to a poor diet, because they are unable to chew crunchy vegetables or protein-filled meats. This lack of essential nutrients can lead to weight gain, heart disease, and a risk of developing diabetes. 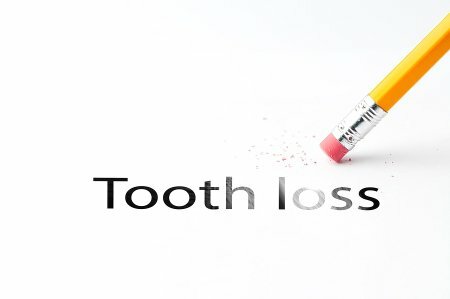 Tooth loss can also result in poor dental health. The surrounding gums are more susceptible to gum disease and infection, because the connective tissues begin to break down following tooth loss. Bone resorption, also known as bone loss, is a potential side effect of tooth loss. The jawbone is often affected following a tooth extraction. The jawbone will begin to break down and degrade. 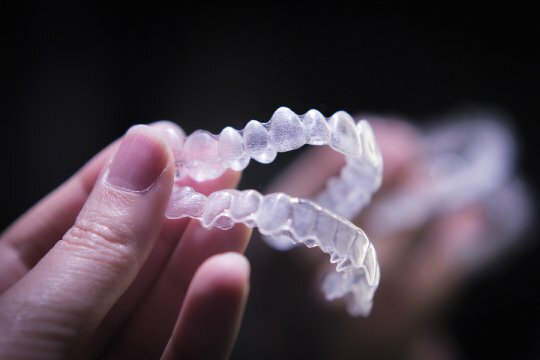 This degradation can affect the surrounding gums, connective tissues, and remaining teeth. As these vital components are affected, patients may notice shifting or loose teeth, poor gum health, and an altered appearance. As the jawbone breaks down, patients may notice the shape of their faces change over time. This occurs because there is no longer enough supportive bone structure to maintain the patients’ normal jawline. Patients may notice their mouths, chins, and cheeks becoming more concave. They may also develop fine lines around their lips or folds around their mouths as a result of the bone loss and altered appearance. Patients who have tooth loss can benefit with implant dentistry near Hazlet . This is an essential area of dentistry offered at Glenwood Premier Dental to prevent bone loss and restore patients’ health and face shape. Work with our compassionate dentists to receive great restorative care by calling us at (732) 264-4477. Most oral health problems aren’t necessarily considered emergencies, but having a tooth knocked out may be a reason to see your emergency dentist. Although this can happen to anyone, some people are at a higher risk for this kind of problem. Here’s a look at some of the common causes of tooth avulsion. 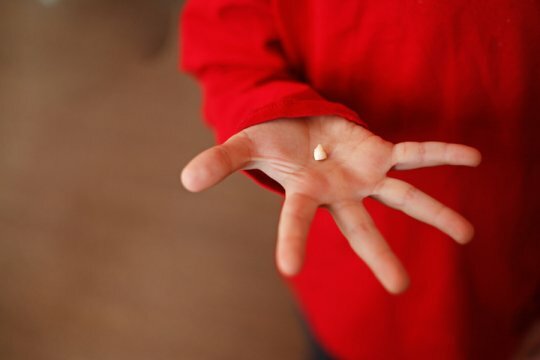 Plenty of factors affect your susceptibility to tooth loss. Unless you are already missing all of your teeth, however, you’re never immune. People who participate in contact sports tend to experience a greater risk of tooth avulsion because of the increased risk of high impact collisions. However, a custom mouth guard can help you protect your teeth in this scenario. Problems with balance can also make you more prone to this kind of issue, as slipping and falling can lead to a trauma in the mouth. Weaker teeth are also more likely to pop out than healthier, fully attached teeth. If you are dealing with tooth avulsion and need an emergency dentist near Hazlet, please contact the team at Glenwood Premier Dental. It’s our job to provide our patients with high quality teeth cleanings, implant dentistry, and oral cancer screenings. Call us at (732) 264-4477 for more information.